Drum roll, please! You'll get a drum roll when you place these delicious chicken breast on the table, because this recipe is awesome. Place chicken in a deep skillet over medium low heat. In a bowl, combine soy sauce, honey, tomato sauce, minced garlic, italian seasoning, crushed red pepper flakes, salt and pepper. 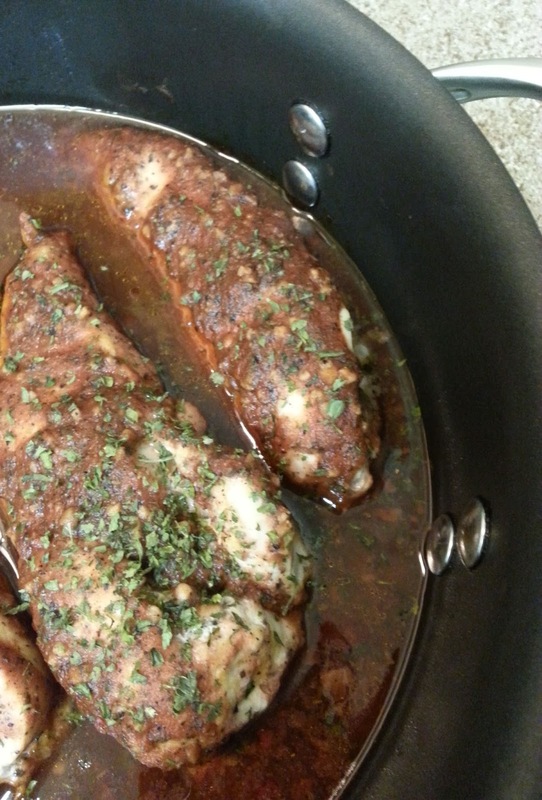 Pour honey mixture over chicken, cover and cook about 35 to 40 minutes, until chicken no longer pink. Sprinkle with chopped parsley.